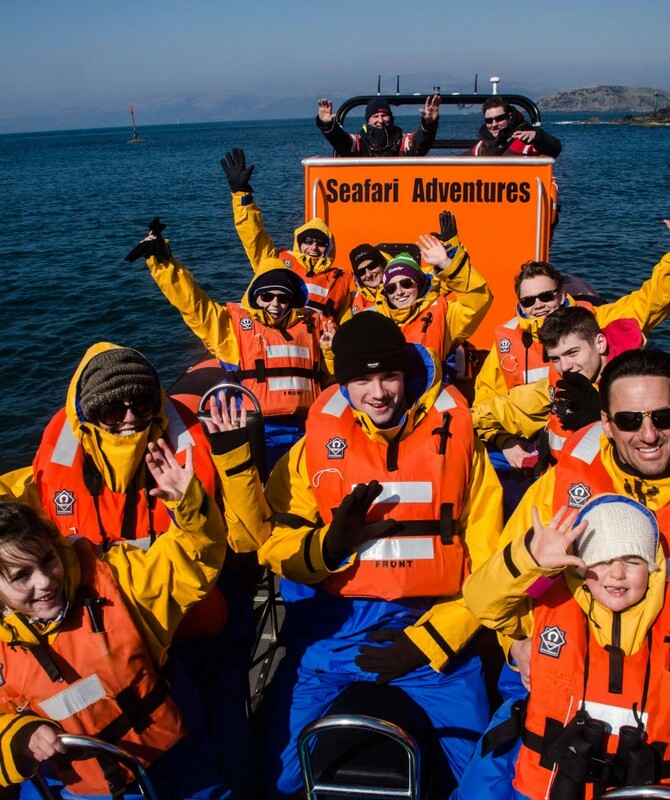 Seafari Adventures offers exceptional wildlife and nature boat trips to see whales, porpoises, sea birds from our base at Easdale, Oban, Scotland. 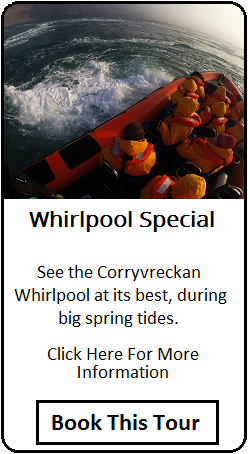 Experience the Gulf of Corryvreckan, home of the World's Third Largest Whirlpool. 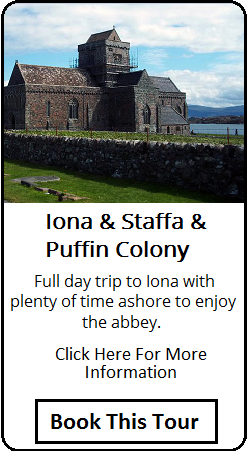 Our range of tours offer you the opportunity to see whales, porpoise, dolphins, basking sharks, otter, golden and white tailed sea eagles and much more in our European Special Area of Conservation - Firth of Lorne. 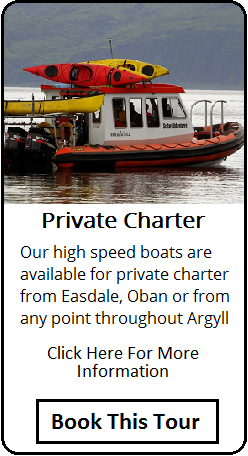 We are Oban’s original Visit Scotland 5 Star accredited marine wildlife tour company and specialise in offering a unique combination of high adventure and pure exhilaration with the excitement and sheer pleasure of close encounters with Scotland's magnificent sealife and scenery. Our tours are a well managed wildlife experience ensuring maximum enjoyment for customers whilst also recognising the importance of minimum disturbance to nature and wildlife. All tours are accompanied by one of our wildlife guides, they will offer a unique insight into the natural world we are privileged to work in. Species such as whales and basking sharks are seasonal. Dolphins roam the high seas in groups or pods and may be seen throughout the year. Otter, porpoise, seals, golden and white tailed sea eagles are residents in this remote but beautiful island environment. One of our open RIBs in the Gulf of Corryvreckan. Most tours are suitable for all the family. Weather, tour type and sea conditions are safety issues. Please contact us in advance if your group includes children under 7 years old. Many tours are wheelchair friendly and our boats suitably adapted by ourselves in our own workshops. Please contact us for advice. Click here to read our Accessibility Guide. Our boats are similar to those operated by the RNLI. 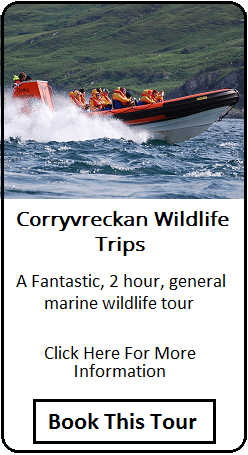 We are able to transport you quickly and safely to the nature hotspots allowing you even more time to enjoy viewing wildlife both on land and in the sea. 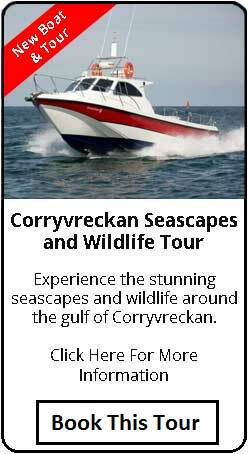 Our popular Corryvreckan Wildlife Tours which operate daily are aboard our custom designed and built open RIBs. Our whale watching tours and longer day excursions are generally aboard our cabin RIBs providing more shelter from the elements. 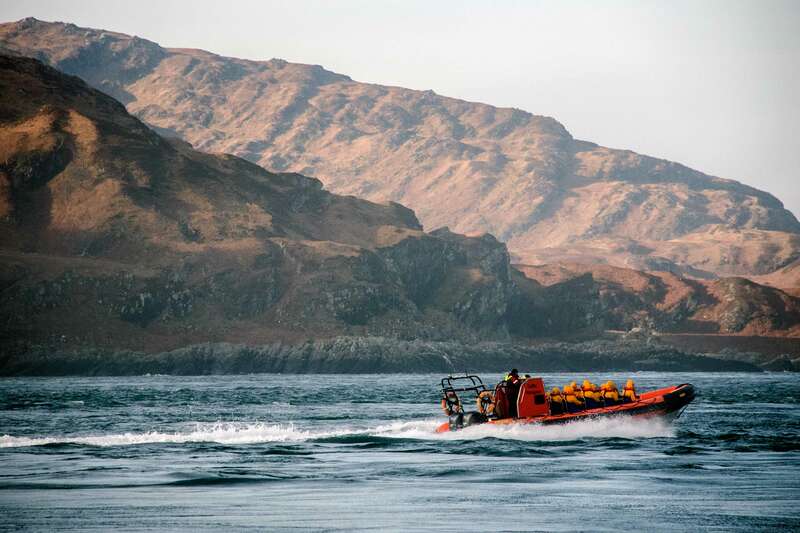 We reserve the right to select the RIB we deem suitable for the tour (during winter we take our cabin RIB on the Corryvreckan Wildlife Tour, it can be very cold in December). Happy passengers on one of our open RIBs.